Trivia: The character Sun was created specifically for Yoon-jin Kim, after she auditioned for the role of Kate but the writers felt she was not right for the role. Trivia: In series 2, episode 2, at around the 35 minute mark when the camera goes underwater to show the shark swimming past, the shark has the Dharma logo on the back end of it. Locke: Do you play checkers with your Pop? Walt: No. I live in Australia with My Mom. She got sick, she died a couple of weeks ago. Locke: You're having a bad month. Question: I recently submitted a question about whether everyone died on the plane or on the island. The answer I got was unsatisfactory. The answer was they did not all die in the plane crash but on the island where the events in the show really did happen. If this is the case, everyone in purgatory at the end makes no sense. If they all died on the island, then where were other characters like Michael, Ecko, etc. 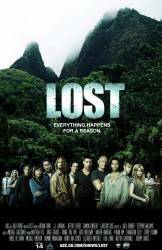 Also how did Kate, Sawyer, Hurley, Ben, etc end up dead and in purgatory at the end of the series? Last we saw them they were still alive on the island. Are we to assume that everyone died at the end of last season when the bomb went off? I need more info here. Chosen answer: None of the main characters died in the plane crash. Many died on the island after the crash (Jack, Charlie, Sun, Jin, Daniel, Juliet, others), some lived on the island for an apparently long time after the crash (Hurley, Ben, Bernard, Rose) but some lived lives off the island after the crash (Sawyer, Kate, Claire, Miles, Aplert, and Lapidus). Remember that Christian tells Jack that "time has no meaning here," (in Purgatory). When everyone meets at the church, they are at the end of their lives however long that may have been and will now "move on" together. They look like they did on the island because that is the way they best remember each other. Question: In the pilot episode, the pregnant girl looks over at the bald man and he opens his mouth to reveal something bright orange. What was that? Chosen answer: He was eating a peice of an orange with the skin still on. Question: When Claire is pregnant with her baby, her belly looks very realistic. Does anyone know how they make it look so real? Chosen answer: Using a mold, a realistic pregnancy belly is made of latex (rubber), including the distinct belly button, to suit the proportions of Emilie de Ravin who plays Claire. It is then painted with a special paint/adhesive compound that adheres to the surface and for shots of the actual belly, additional veining and stretch marks are airbrushed on.